"Best Startup in Web Development 2017"
Our vision is to provide Cheap and affordable Web Solutions to those who would like to build their online presence. 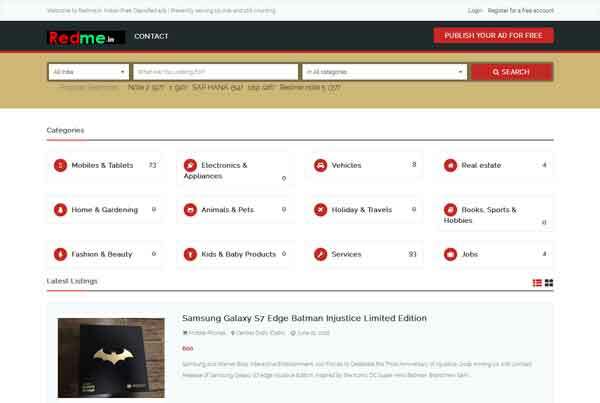 We create money making websites, not just websites. 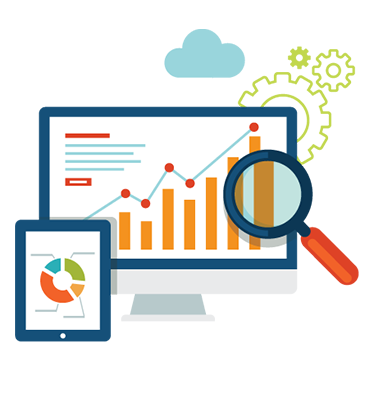 We focus on implementing Search Engine optimization to all websites we design. At Jayati Creative, We have a solution for everyone’s needs, from small custom designed websites or very complex online shops. We also offer lots of help and suggestion along the way so don’t worry if you are not a web expert, we have you covered. 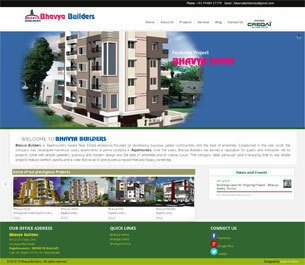 Web designing is not only our business, its our passion. Jayati Creative has specialized in open-source content management systems like wordpress, Drupal, Joomla, Prestashop, Opencart and Magento. 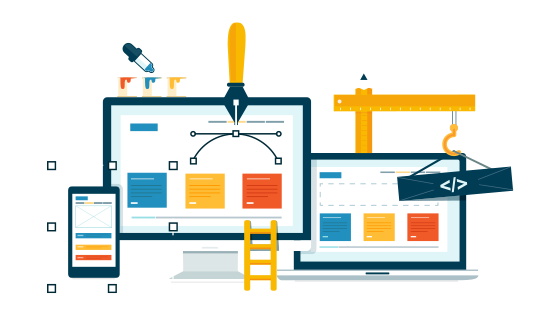 We can modify and customize your existing web design to use a best featured CMS as per latest design trends and Google algorithms. A well designed website without traffic is useless. Organic traffic to a website increases business. We have different Search Engine Optimization(SEO) plans to increase your website visibility as well as your business. All our SEO packages are 100% result driven and proven. No one can provide SEO features like us. If your business needs professionalism, it needs a LOGO. Our designers are very creative and they promise to deliver original, genuine and novel artwork to our customers along with full copyrights. 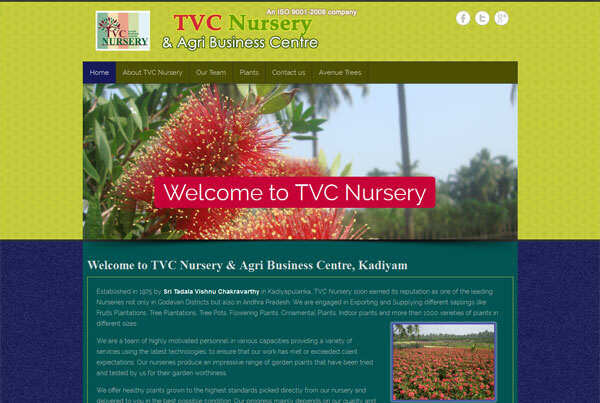 Best Logo Design in Rajahmundry. We provide printing solutions like brochures, visiting cards and pamphlets at international standards. Our creative art workers provide the best possible solutions at competitive price. Brochure printing in Rajahmundry. For every requirement and size we have an SMS package. 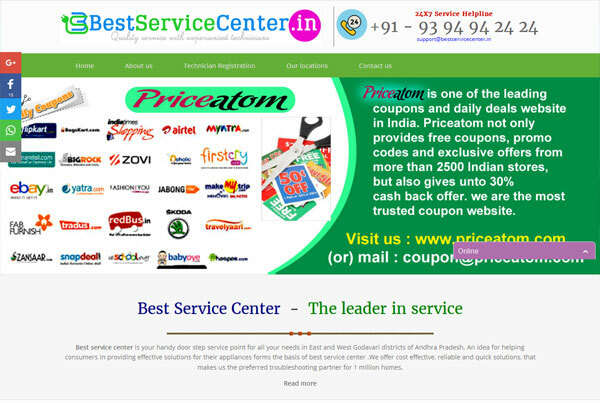 We provide promotional and transactional SMS at cheaper rates. Our sms plan includes developer API to implement in any website. Jayati Creative is Cheap SMS Provider in Rajahmundry, Andhra Pradesh. Why Jayati Creative? Here we try to convince you..
At Jayati Creative, We have a solution for everyone’s needs, from small business custom designed websites or very complex online shops. We also offer lots of help and suggestion along the way so don’t worry if you are not a web expert, we have you covered. We have friendly team to give a Comprehensive analysis of your business goals and solutions fit for purpose. Our “You dream, We design” policy makes your expected figure come out from our designer brush. We think globe as a village – We are ready to serve across the globe, you may feel we are your neighbor. Content Management systems (CMS) we use make the management of content very efficient, easier and quick. Jayati Creative is a professional website design and Development provider with healthy Portfolio in Rajahmundry, Andhra Pradesh, India. 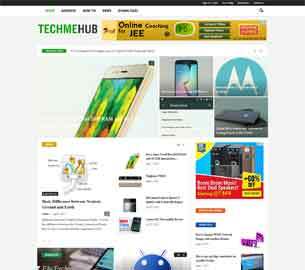 We offer complete website designing and web development solutions in Rajahmundry, Kakinada, Visakhapatnam, Vijayawada and Hyderabad. 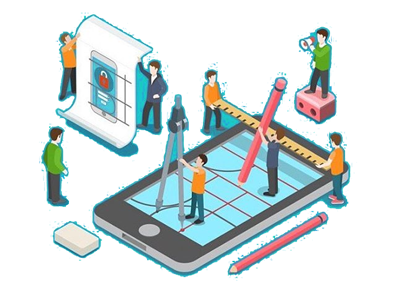 We deliver expert solutions for small, medium and large projects, based on the best web design practices including interactive Flash websites, static websites and dynamic database-driven e-commerce websites, web application and web services. All with fresh look and cutting edge technology that enables you to do just more. 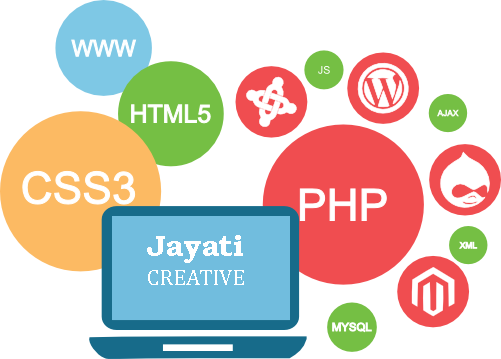 Jayati Creative is formed to provide an affordable web design solution for everyone who needs web presence. From startups to Professionals, from Small Businesses to Larger firms we have a perfect solution. We design your dream website in your budget. Do not hesitate to contact us for a perfect solution for your dream project. Hope we are online right now…Let’s chat! Fill the inquiry form with your requirement. We will revert you soon.